Traveling all the way from Holland, Eyeline editor Loes Brussen visited Brooklyn for a chat with co-founder/creative director Mark Craig about the history of Activist and the philosophy behind the brand. 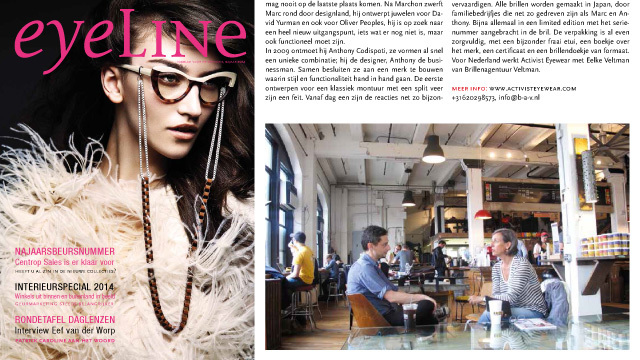 The venerable Japanese mag Mode Optique just could not get enough of us back in September. 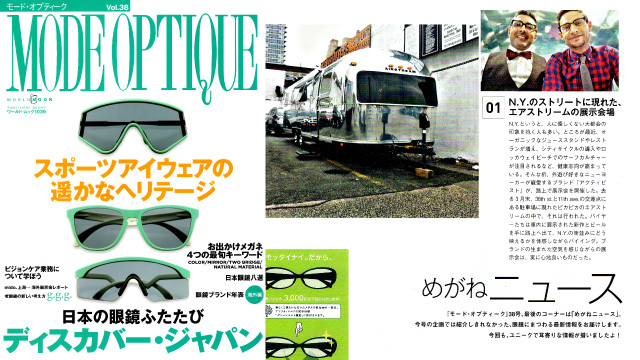 This time around, they featured our Airstream pop-up shop at Vision Expo East. 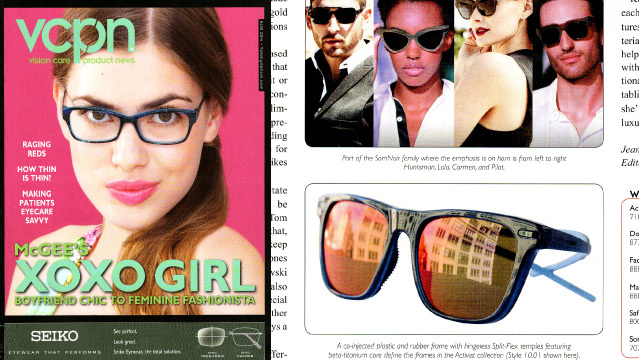 Industry mag, VCPN, spotlights Activist’s global best-seller, Model 10.01.